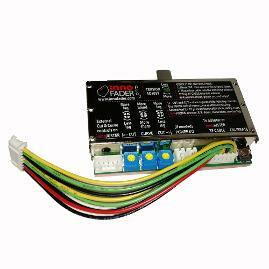 The innoFADER has been designed to plug and play with the widest range of commercially available mixers around, and includes all necessary adaptor boards, plates, screws and washers in the package. 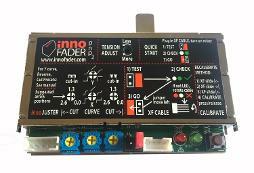 The innoFADER also comes with another first - full onboard cut-in and curve control, meaning you can actually add adjustability to mixers that may not already have it. 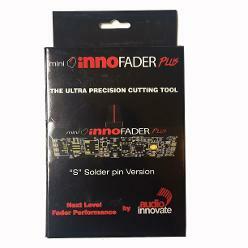 In addition, the faders tension can also be adjusted to make the innoFADER suit your very own style. The mini Innofader Plus is the latest model in the innoFADER range. This upgrade part will replace the mini Innofader PNP P. The cut point has 0.1mm precision combined with a lightning fast 1msec response time. You can now also hook it up to an innoJUSTER to ensure you get the hairline precision cut point exactly where you want it on the fly! 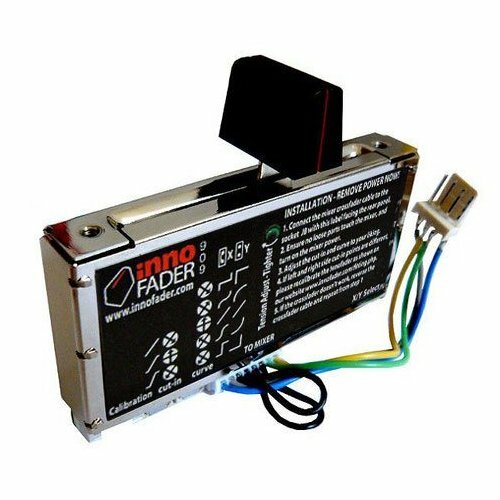 The mini innoFADER Plus works as a replacement fader for even the tightest of mixers and controller where space is limited. Constructed using the same quality and technology of its bigger brothers the mini innoFADER Plus will breathe new life into your mixer or controller and give you years of use. 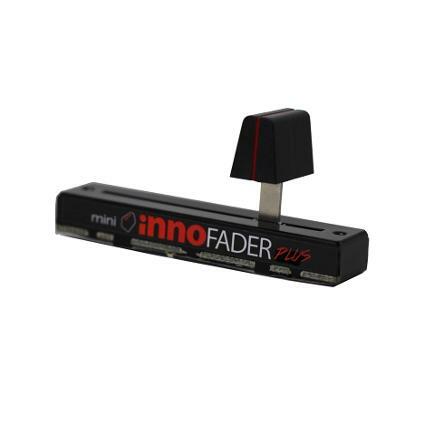 Replace virtually any crossfader imaginable with a mini innoFADER Plus! The mini innoFADER Plus is compatible with all the existing range of mixers and controllers along with now being plug and play with the Numark PT01S portable turntable. No longer are you "stuck" when your controller has a compact fader soldered to the PC board. Having the solder pin S version means you can essentially transform your average controller into a pro model. We even included an external switch so you can adjust the mini Innofader PNP S without having to remove it. NOTE: This model requires some soldering. Prior to installation you need to make sure that the jumper settings on the PC board are soldered for the correct power supply as shown here. Please feel free to take your controller/mixer and mini Innofader PNP S to a repair center. The innoFADER has been designed to completely change the way you feel about the crossfader. With four models now available, the PNP - Plug and play, is the latest edition to the range. Developed to offer a high quality alternative to replacement crossfaders with added customisation. As with all innoFADERs, it has been constructed to the highest standard and is compatible with a wide range of mixer models. The innoFADER Pro2 is the ultimate replacement audio fader. It gives you an ultra precise ± 0.05mm cut-in accuracy for even tighter control of your scratches. Separate left and right cut controls make it easy to adjust without the need to recalibrate. And for the perfectionist in you, it even has super precise presets which allow you to do things like shift the cut point by a mere 0.04mm, less than even the thickness of your hair. The Pro2 now fits more mixers than ever, with easier installation all without modification. Please view innoFADERS compatibility chart for full list. The adapter boards are already insulated and marked clearly to show you the specific one you need for your mixer. The innoFADER 909 again includes all the same features as the entire range of innoFADERs and has been constructed to the highest standard, however this model has been specifically designed to exclusively fit the Pioneer 909/707 mixer models. 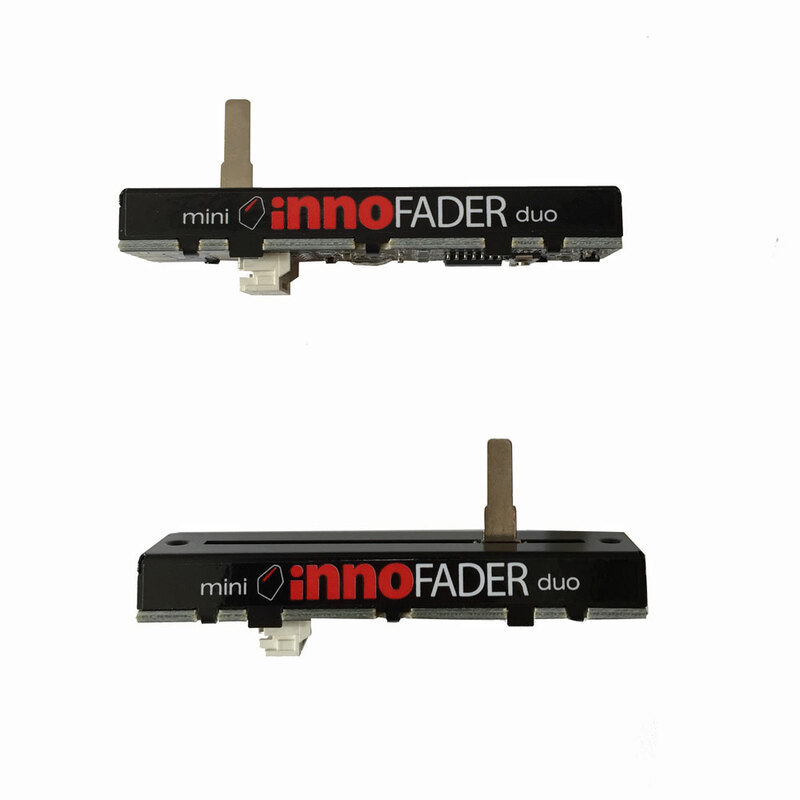 The mini innoFADER Duo makes upgrading more affordable than ever. With two yes two mini innoFADERS in a single package! You can swap your Z2 channel faders or you can use one and still have a spare mini innoFADER to keep you up and running.